Product prices and availability are accurate as of 2019-04-08 16:14:30 EDT and are subject to change. Any price and availability information displayed on http://www.amazon.com/ at the time of purchase will apply to the purchase of this product. The Eco Gecko sustainable heart palm leaf plate is an environmentally-friendly way to serve your culinary creations with a little bit of romance and whimsy. They are 100% natural, biodegradable, and compostable. 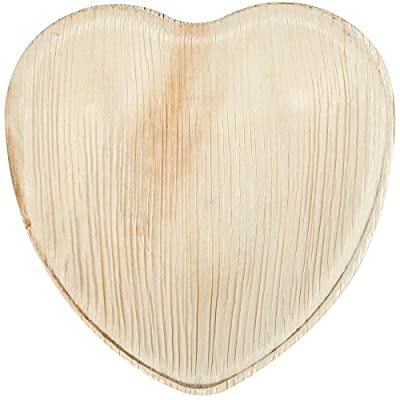 Each heart plate is made out of renewable fallen palm leaves. 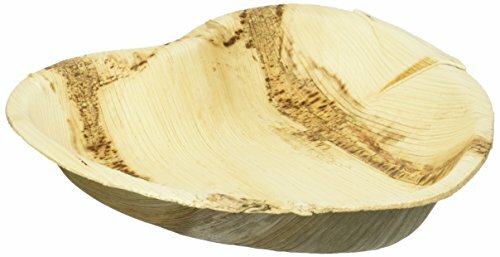 In addition to its natural beauty, this material breaks down quickly in landfills and composters for further recycling of a great natural resource. The plate is extremely strong but still meant for one use, so it is completely disposable.